The primary issue is the point at which a driver is considered “impaired.” A recent analysis conducted by Nerdwallet revealed that while the standards ascertaining intoxication vary wildly, the one thing any driver arrested for driving under the influence of marijuana can expect: Higher auto insurance rates. 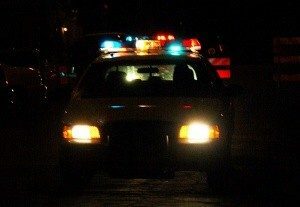 Drivers convicted of operating a vehicle under the influence of marijuana are going to pay court costs and fines, drug treatment program costs, probably a driver’s license reinstatement fee and other penalties. A single first-time offense can easily result in several thousand dollars lost – an expense most people can scarcely afford. All that seems especially unfair when we know that the process for determining impairment is so unreliable. Unlike alcohol, which is processed quickly through the bloodstream, THC lingers in the body for days or even weeks. That means someone who used the drug a week ago could still have it in his or her system, even though they are in no way impaired and even when they are consuming the drug for medicinal purposes. In California, auto insurance rates were the most keenly affected by a medical marijuana DUI. The average driver in California with a clean driving record is going to pay about $1,133 annually on car insurance. By contrast, an average driver who has one conviction for driving under the influence of drugs is going to pay about $2,636 a year – a 132 percent increase. Someone with a second driving under the influence of drugs conviction is going to pay about $2,985 a year for car insurance, which is another 13 percent increase, and a 163 percent increase from the original. That’s more than anywhere else in the country. Some drivers think that they may be better off simply pleading guilty to spare themselves the legal expenses. But when you look at it like this, that conviction ends up being more costly than it might have seemed at first blush. Plus, many drivers facing DUI charges overlook the fact that there are a host of valid and often successful defenses that can be employed, particularly in a case that alleges marijuana intoxication. Again, it all goes back to the arbitrary nature of those aforementioned THC limits. California doesn’t have any such limits, but prosecutors will still often argue that any marijuana in one’s system is proof of impairment. It’s not. If you are arrested for marijuana DUI in L.A., we can help.